Here is what will happen to Jio SIM if you are not a Prime member. March 31 is the deadline! Mukesh Ambani, the chairman of Reliance Jio, recently said that Jio was soon going to be a paid affair. No more free data, no more Jio's free bouquet of services after March 31. At the same time, Jio is strongly nudging users towards Jio Prime, a membership that costs Rs 99 annually. Once you have this membership, you will get Jio data at a very cheap prices of something like Rs 10 per GB. There are some cool offers that come attached with the Prime. One such offer is Rs 303, which will essentially let the Jio users enjoy the same service that they currently get, complete with its 28GB 4G data per month. Then there is even a better plan in the form of Rs 499, which gives users 56GB data. But what if you are not a Prime member? What if you don't subscribe to it before March 31, when the offer is supposed to expire? Flash message saying, "Congrats! You are eligible for Jio Prime Subscription" is seen almost five to six times a day on a Jio-connected smartphone, reminding you that time is ticking and you need to hurry up with Rs 99 recharge if you want to continue your Jio services. Also Read: Free Jio service ends on March 31, Jio Prime is in. Jio Prime is a new membership plan for customers who have joined Jio before 31st March 2017. The subscription fee costs Rs 99 and last date of enrolment is 31st March 2017. With Jio Prime, users can continue enjoying Jio free data and the host of services offered by Jio. 1. You couldn't have been more wrong if you thought that Rs 99 was enough for continuing your Jio services. You have to take monthly plans after that to continue else your number may get disconnected. "Post 31st March, 2017, if you have not recharged with any plan, your services will stop. You will be able to get incoming voice calls and SMS for certain period," reads the Jio Prime FAQ page. That certain period has not been specified yet. 2. According to Reliance Jio's terms and conditions, if you do not recharge after the validity expiration of your existing recharge, you will only be able to receive incoming calls and messages. If you do not do any recharges in 90 days, your number will be disconnected. 3. If you are a Prime member but do not recharge with any plans after March 31 then your Jio services will be halted. You may be able to receive call and SMS for some time but the number will be disconnected after a certain period of time. 4. 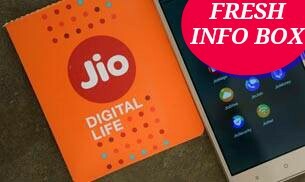 In case you do not go for Prime membership but want to continue using Jio services then there are several other plans also available for you which you can subscribe for. These plans can be taken even after March 31. Although they will be much pricier compared to Prime plans. 5. Last but the most important question: what if you don't take Prime membership or any plans after March 31. In this case your Jio number will be disconnected after a stipulated period of time set by TRAI. A few words about the Jio Prime: Stop thinking free. If you find the Jio services decent, you should get the Prime membership because the benefits are worth it. The data plans that are available to Prime members are incredibly good. The price of data is cheap and if Jio works well with your phone, and in your area, they are totally worth it.